The Blackstone Group and Temasek-backed Mapletree Investments are competing with South Korean asset managers and brokerage firms in the auction for Samsung C&T Corporation’s office building in Seoul, which is expected to fetch up to 787 billion won ($730 million) because of its location on one of the busiest streets in the country. Samsung C&T, a construction and trading unit of the Samsung Group, has put up for sale the 32-story building with a floor space of 81,117 square meters to improve its financial status. It is one of the three buildings in Samsung Town, completed in 2007 and near the landmark Gangnam Finance Center which its owner GIC, Singapore’s sovereign wealth fund, values at over 2 trillion won, according to real estate finance sources. Samsung Town is in close proximity to Gangnam subway station. Gangnam is a commercial hub of the city. By the June 7 deadline, Blackstone had submitted a bid for the office building, without forming a consortium with a South Korean company. For Mapletree Investments Pte Ltd., the real estate business of Singapore’s Temasek Holdings, it was unknown if it teamed up with a domestic investor. Other bidders include NH Investment & Securities Co. Ltd.; KORAMCO; IGIS Asset Management Co. Ltd.; JR AMC Co. Ltd., a real estate investment trust company; Pebblestone Asset Management Co. Ltd.; and Mastern Investment Management Co. Ltd. The selling side expects the sale to fetch the highest per-unit price for a South Korea’s commercial property transaction, or 32 million won per 3.3 square meters, totaling 787 billion won, according to the sources. Its book value was 560 billion won as at end-2016. By comparison, Gangnam Finance Center is estimated similarly at over 30 million won per 3.3 square meters by GIC. Samsung Fire & Marine Insurance Co. Ltd. has leased it since last year through 2021. The other two buildings in Samsung Town house Samsung Electronics Co. Ltd. and Samsung Life Insurance Co. Ltd.
“Even if (the seller) suggests over 30 million won per 3.3 square meters, the first years’ cap rate is at the upper end of 4%. 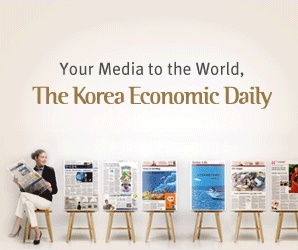 Considering the average cap rate in first years of Gangnam office buildings is at the lower end of 4%, it is not a high price at all,” Seoul Economic Daily quoted an unnamed source involved in the auction as saying on June 7. Blackstone has been participating in auctions for large commercial buildings in Seoul, including Centropolis Towers and IFC Seoul which were sold to M&G Real Estate of London-based Prudential Plc. and Canada-based Brookfield, respectively. In 2016, the US private equity giant bought 62,747-square-meter commercial property in Seoul from Mirae Asset for 450 billion won. Mapletree Investments had invested in logistics centers in South Korea via its listed REIT, Mapletree Logistics Trust. It was the first time for Mapletree Investments to make a bid directly for a South Korean asset, according to the Seoul Economic Daily. “It will depend on an extension of the lease contract with Samsung Fire whether it will be a low-risk, low-return asset, or a little risky investment,” one of the sources told the Korean investors. The auction, managed by Savills Korea, is expected to wrap up around August. Speculation mounts over where Samsung C&T, the parent group’s de-facto holding company, will use the proceeds from the transaction. One option could be buying Samsung Electronics shares from Samsung Life which will be required to sell 20 trillion won worth of shares in the IT giant to comply with new insurance industry law pending at National Assembly. For NH Investment, the bidding was made just after its parent company NongHyup Financial Group won a preliminary approval of a REIT company launch in South Korea in a move to make its foray into REIT business.